Sky isn't hanging around for the Boxing Day sales to unleash its latest blockbuster deal. The mobile network is currently offering a free Playstation 4 and a copy of Assassin's Creed Odyssey when you buy select models of Sony Xperia phones. Yes, you did just read that correctly. Sky Mobile is giving away an entire games console and one of its latest titles for free when you sign-up to select Sony Xperia monthly contracts. And if you're thinking of dismissing this offer because you assume the free PS4 and Assassin's Creed disc will only be available on the most ridiculously overpriced monthly plans – we're pleased to tell you that you're wrong. Sky Mobile is offering the free PS4 bundle on contracts from £19 a month for the handset, and £6 for unlimited calls and text messages and 1GB of 4G mobile data. 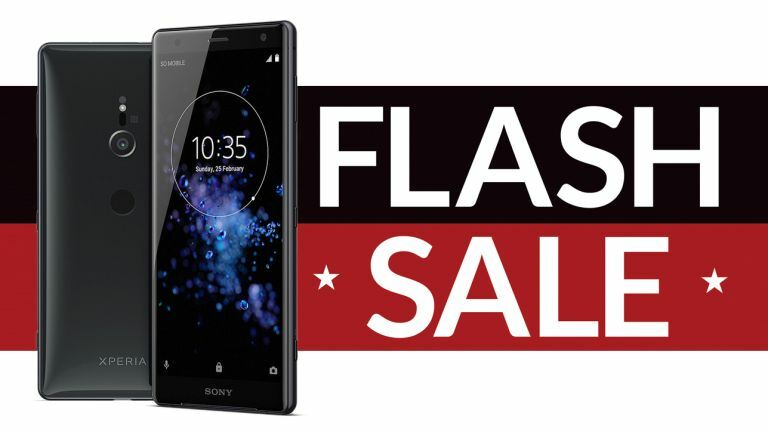 For that price, you'll get the Sony Xperia XA2. However, Sky Mobile is also offering the free console with the impressive Sony Xperia XZ3 – a staggeringly good flagship with a 6-inch Bravia-engineered OLED display that was awarded four-stars in the T3 review – for as little as £34 a month. Sky Mobile lets you choose the data limit that works for you, with options ranging from 1GB to 15GB, priced from £6 to £20 a month extra, respectively. All of these new Xperia phone deals operate on the network's Swap24 contract, which means you'll be locked into a contract for 30 months, but will be able to upgrade to a new device after 24 months. If you don't fancy a new Xperia, or if you're more of an Xbox One player, then don't worry. Sky Mobile has launched a slew of different seasonal deals, maybe one of the other freebie bundles will tempt you. We've included them all of them below. Sky Mobile is offering a free Galaxy Tab A tablet with its Samsung Galaxy S9 contracts. You can get the flagship Galaxy S smartphone from £26 a month and up, depending on how much data you want as part of your mobile contract. Those wanting to give their living room and home a smart boost this Christmas can chose a Google Pixel 3 and get a free Google Home Hub. The Pixel 3 (and its cracking AI-powered cameras) is available from £29 a month. Sky Mobile has the Huawei P20 with a free Huawei Media Pad T3 7-inch tablet. Prices for the P20 start from a paltry £17 a month and increase based on the amount of 4G data you want to use on your brand-new flagship handset.